The Elbphilharmonie is ready on Google. Come on in! 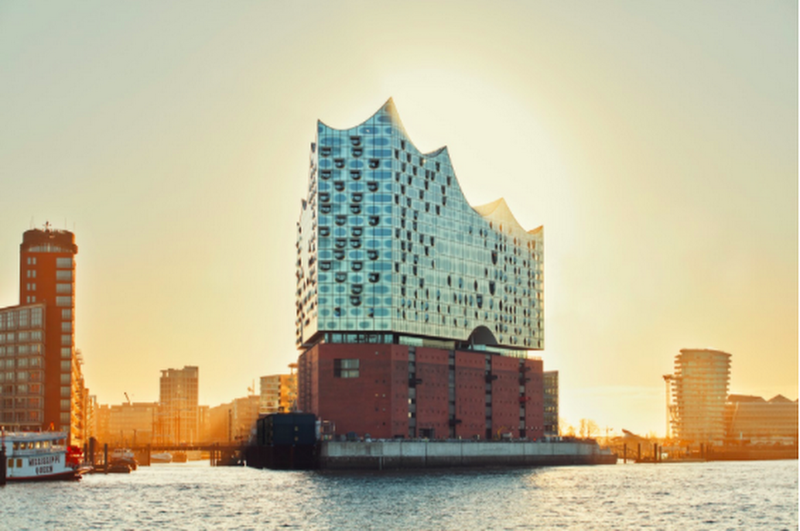 Since laying the foundation stone on April 2, 2007, Hamburg citizens and more have been waiting for the opening of the new cultural centerpiece of the Hansestadt: the Elbphilharmonie. Over the weekend the Plaza is finally opened, and architectural fans and music lovers alike can get a first impression of the impressive building in the HafenCity. At 37 meters tall, the public viewing balcony between the brick harbor storage and the glassy new building now offers an all-round view of the city and the port. But a little patience is still needed for visitors: the concert area of ​​the Elbphilharmonie will not open its doors until January 2017. At Google, we didn’t want to wait that long. That is why, in partnership with the Elbphilharmonie Hamburg, we’re giving an early preview of the Grand Hall on Google Arts & Culture and Google Maps! With the help of Google Street View you can virtually walk from the main entrance over an 82 meter long, slightly arched escalator called the Tube which leads to the large panoramic window with harbor view. From there, you can take a second short escalator and a staircase to the Plaza and continue your way to the Grand Hall, the heart of the Elbphilharmonie. The large concert hall, which can accommodate as many as 2,100 visitors, is built according to the vineyard principle--which means the stage is in the middle and is surrounded by terraced audience seats. Above the stage you can see the great sound reflector hovering. A Street View colleague is photographing the Grand Hall. Speaking of sound: Have you already discovered the Klais organ with its 4,765 pipes? You can count them going to the 15th floor between seating sections P and Q behind the acoustic wall (also called the "White Skin"). But that's not all: we're going to travel with you into the history of the space at g.co/elbphilharmonie. You can also access the content via mobile app of Google Arts & Culture (available free of charge for all iOS and Android devices). With just a few clicks, you can see how the Elbphilharmonie was created - from idea to reality. In this virtual exhibition, we are showing the architectural history of the Elbphilharmonie in numerous pictures and videos, making it for everyone possible to explore the impressive performance of the architects. 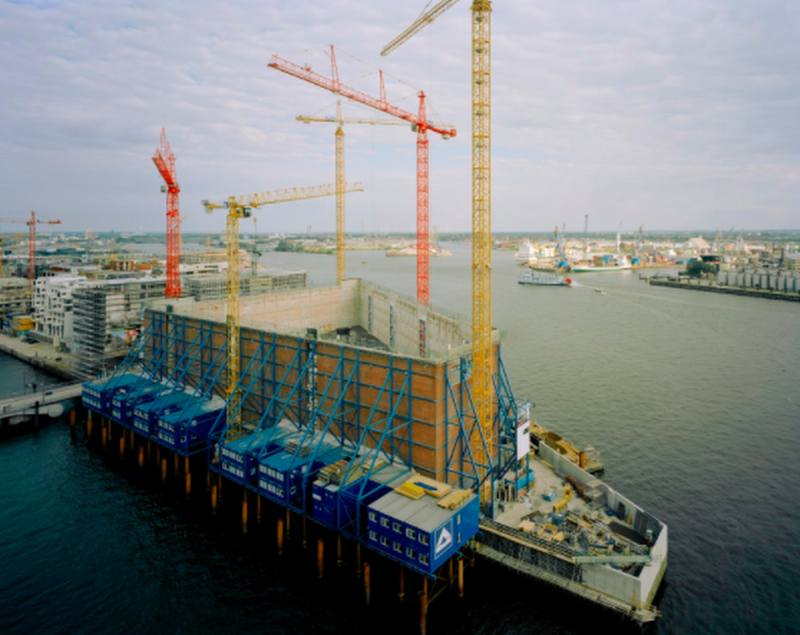 The 1,111 reinforced concrete beamers of the foundation had to be supplemented by a further 650 piles, to carry the 200,000 tonne weight of the Elbphilharmonie. We’re also taking an additional step further into the past. 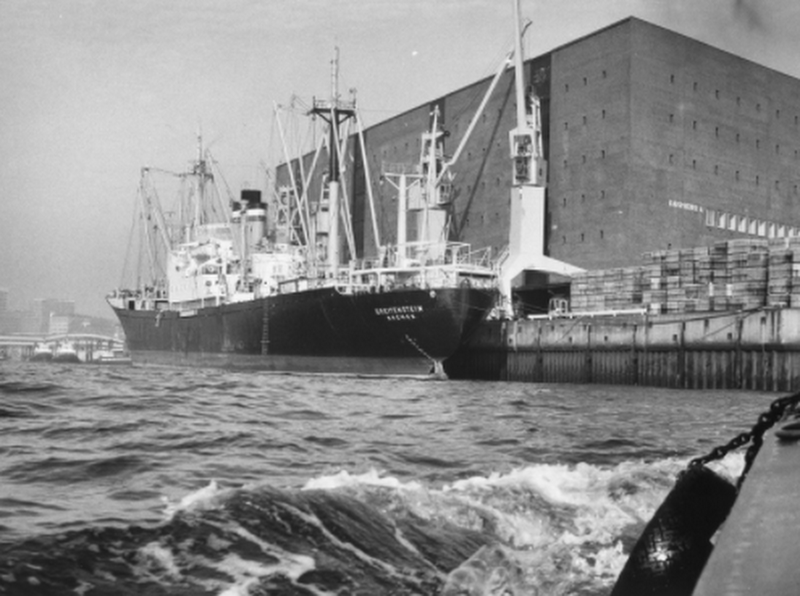 Historical photos show the history of the former Kaispeicher A, on which today the glassy new building of the Elbphilharmonie stands. The Kaiserspeicher was severely damaged in the Second World War, and therefore was blown up in 1963. On its own site, the second Kaispeicher A was constructed: a straightforward, solid brick building. A particularly impressive experience is provided if you’re using a Google Cardboard, on which the tour through the building becomes a virtual reality experience - and the organ in the Grand Hall is close at hand. 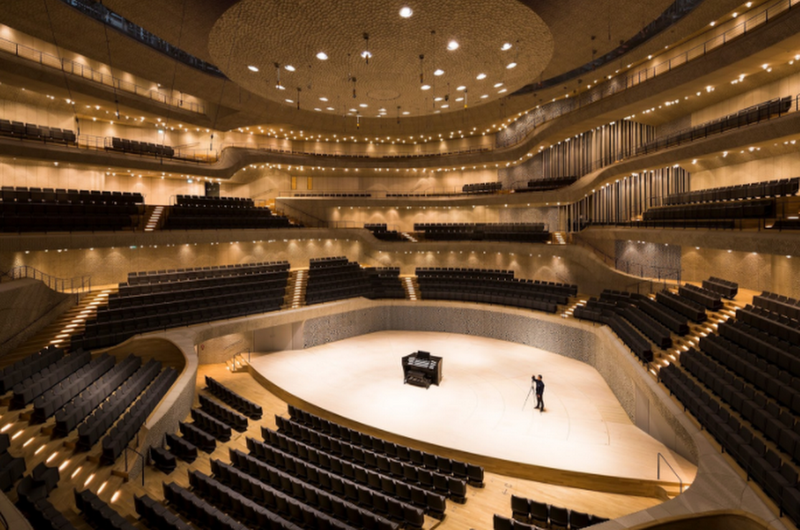 And with Google Expeditions, whole school classes can virtually travel to the Elbphilharmonie. We are very happy to be able to take you to the new cultural heart of Hamburg and wish you a lot of fun discovering it!